This football season we are thrilled to travel the local area to home games of some of our favorite schools and help raise money for local youth sports! 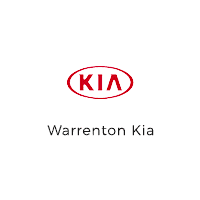 Each Warrenton KIA Tailgate will feature food, prizes, raffles, music, games and more. Its a great way to have some fun before the games. Try your skills out with our bean bag or football toss and win prizes! Warrenton KIA would like to thank Walmart for their donations of food which can be sold to help raise funds for the schools Booster Programs. All money raised from these events will go directly to the schools Athletic Departments and Boosters clubs. Many thanks for other various donations from Fred Meyer and Smart Foodservice in Warrenton. We hope to see you there! Questions to warrentonkia@gmail.com or on our facebook page.